Tree removal is always a last resort and where possible we will always endeavor to save a tree first. We do, however, understand that this is not always a viable option and sometimes it is necessary to remove a tree. Before removing a tree it is worth considering whether there are any alternative measures that can be taken. When a trunk has experienced serious damage it will often require removal. However, if the trunk has damage of less than 25% of its circumference it can often be saved. The wound should heal naturally and given time, your tree will be restored to its former glory. Dead or infected wood can be trimmed, preventing the spread of disease or insect infestation. Our experienced arborists will happily inspect your tree to see whether or not these preventative measures can save your tree. 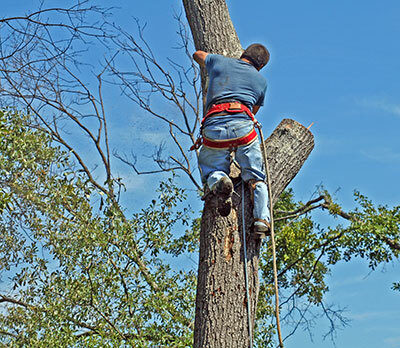 It is always worth checking with a professional in Sarasota before taking the drastic measure of tree removal. Deciding whether or not a tree should be removed can be a difficult decision and you should consider the following when assessing its future. Dying trees need not always be removed. If the tree is in no danger of damaging property or having a detrimental impact on other vegetation then it can be left to die naturally. Dead or dying trees can actually benefit local wildlife in Florida, providing a place to nest and find food for local birds. You should evaluate how healthy your tree is before resorting to removing a tree. If more than 50% of a tree is damaged then it should be eliminated. If the damage is less than other measures can be taken to save your tree. Look for trunk damage, this could be in the form of vertical cracks and seams, as well as the presence of old wounds (these can indicate internal decay). As mentioned earlier, severe trunk damage will require tree removal but firstly this should be verified by a professional. Branch and root damage should also be assessed, a tree can survive if less than 25% of its branches are damaged and if less than 50% of its roots are damaged. In addition to those mentioned, there are other factors which should be considered before resorting to tree removal. Always contact a professional to check if anything else can be done to save your tree. 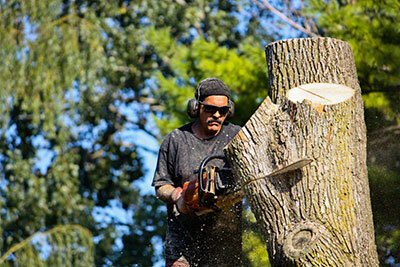 There are many reasons you might consider a tree removal service in Sarasota. A dead or dying tree can be hazardous to property and other trees in close proximity. It could be causing foundation problems or even interfering with utility lines. Trees within immediate distance from property should be structurally sound and not pose any threat of damage. In some cases dead trees can constitute 'willful neglect' on the part of the owner. This means that if the tree falls and damages a neighbor’s property or results in personal injury, you may be held liable. You may choose to have a tree removed if you are about to begin a construction project or home extension. Other reasons could include overcrowding. If your tree is too large for its location it could be blocking sunlight or taking valuable nutrients and moisture from other trees or vegetation. If this is the case you may consider having the tree removed. 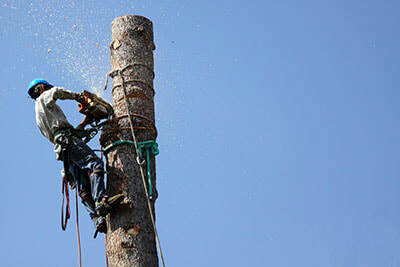 Tree removal is one of the most risky procedures in one of those most dangerous professions. You should never attempt to remove a tree yourself and should always contact a professional. Our experienced team of arborists are trained and fully insured for any damage that may occur while working on your property. Tree removal can mean working at extreme heights with potentially lethal equipment. We will exercise extreme caution when working on your property and eliminate the risk of any damage. Overhead power cables also pose a potentially fatal risk, that's why all tree removal work should be done by trained tree trimmers. A second tree trimmer is also required to be present and must be within speaking range. You can be assured that we will always maintain the correct minimum approach distances when working next to live power lines. Our tree service experts will conduct a hazard assessment before carrying out any work and take the utmost care when moving ladders and dangerous machinery. Our tree removal service in Sarasota can differ depending on environmental factors but typically follows the same process. Firstly, we will haul off logs, then conduct chipping of brush before finishing with stump grinding. Before cutting dangerous limbs we will always rope them and the trunk to ensure the utmost safety of our staff and clients. Once cut we carefully lower severed branches to the ground. Our team strive to leave the remaining stump as close to the ground as possible and in addition to tree removal we also provide a stump removal service. You can rest assured that once your tree has been removed we will carry out a thorough clean-up of debris and leave your property clean and tidy. At Sarasota Tree Care Services we pride ourselves in using environmentally sound and responsible techniques. We will work safely and efficiently to minimize any hassle to you, the customer. 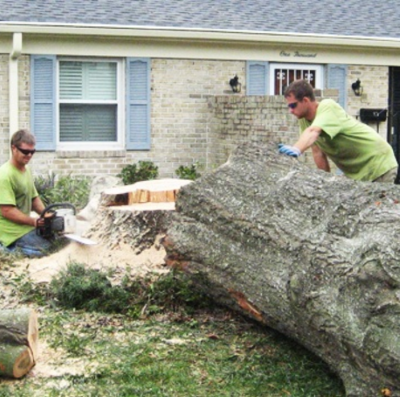 For a thorough and conscientious Florida tree removal service, contact our approachable arborists today.